DARIEN, Conn., December 5, 2018	(Newswire.com) - Greenworks Lending, a specialty finance company dedicated to commercial property assessed clean energy (C-PACE) today announced it has closed its second rated C-PACE-only asset securitization. The securitization arranged by Guggenheim Securities with Nuveen Private Markets (an affiliate of TIAA) as the lead investor, will net proceeds of $150 million. Note purchased by Nuveen Private Markets, an affiliate of TIAA. Guggenheim Securities leads placement of $150 million. Firm’s first C-PACE securitization in Q4 of 2017 helped to establish asset class. Second securitization one year later is 2x in scale with an even more diverse pool of underlying assets based on geography and property type. Rated by Morningstar Credit Ratings, LLC, a Nationally Recognized Statistical Ratings Organization (NRSRO). ING Capital LLC, also a provider of capital to Greenworks Lending, expanded warehouse line relationship during FY 2018 to support scale in advance of securitization. Public/Private program (C-PACE) is a growing capital source for commercial real estate market, as evidenced by new state policies and an uptick in industry-wide securitizations since Greenworks’s first in 2017. This is the second rated securitization of solely commercial PACE (C-PACE) assets by Greenworks Lending since it opened the market for the C-PACE asset class with the industry’s first rated issuance in 2017. Nuveen returns as the investor. C-PACE programs are public-private partnerships approved at the state level. They allow for commercial properties, including industrial, retail and multi-family buildings to finance energy saving infrastructure and repay the investment through a property tax assessment. 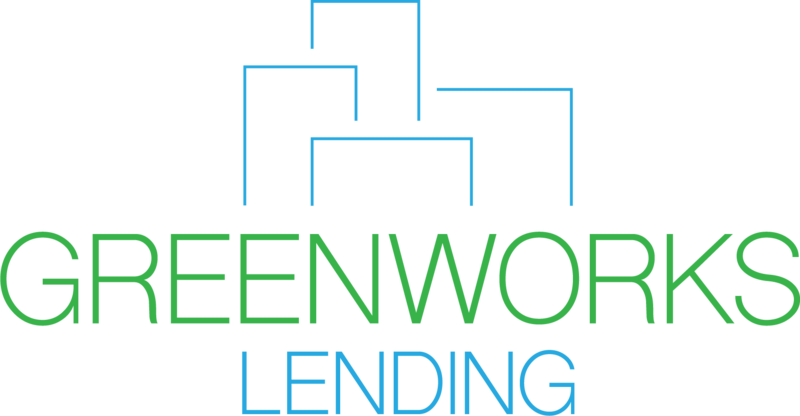 Greenworks Lending has originated C-PACE assessments in 12 states across numerous industries and property types since its inception in 2015. Through its national growth and industry leadership, the four-year-old firm led by Co-founders Jessica Bailey and Alexandra Cooley anticipates continuing to build their issuance platform as a leading C-PACE originator and underwriter. Since the firm’s first securitization, Greenworks has expanded into several states and grown existing markets. Compared to its first securitization which featured geographic distribution among seven states, this pool features properties in 12 states and Washington D.C. and a wider range of project types as well as stages of development, i.e. new construction vs. retrofit. In addition to the securitization, Greenworks Lending maintains a credit facility with ING Capital LLC and recently announced a corporate investment from and partnership with CarVal Investors to support large balance assets. Cooley explained that the three sources of capital position the firm to be fast and flexible to the needs of its clients. Since its initial offering in 2017, Greenworks Lending has been joined by two industry peers in both public and private placements of pooled Commercial PACE securitizations. Greenworks’ combined $225 million in issuances pushes the industry total to the $500 million mark. C-PACE makes it possible for owners of commercial properties to obtain low-cost, long-term financing for energy efficiency, water conservation, renewable energy projects, and more. The program starts with a state level government policy that classifies clean energy upgrades as a public benefit – like a new sewer, water line, or road. These upgrades can be financed with no money down and then repaid as a benefit assessment on the property tax bill over a term that matches the useful life of improvements and/or new construction infrastructure (typically 20 years). The assessment transfers on sale and can be passed through to tenants where appropriate. While facilitating sustainability efforts among the largest consumers of energy (businesses), the program saves property owners money by ensuring that the combination of energy savings and incentives is generally greater than the cost of repayment.